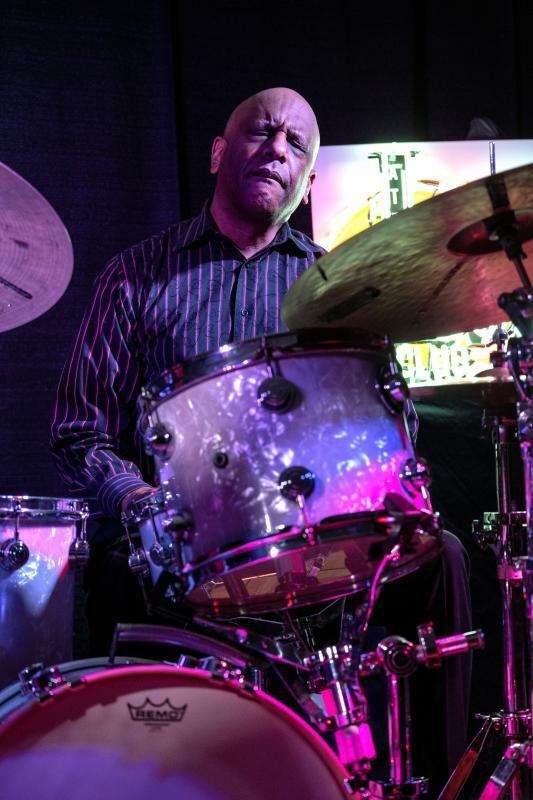 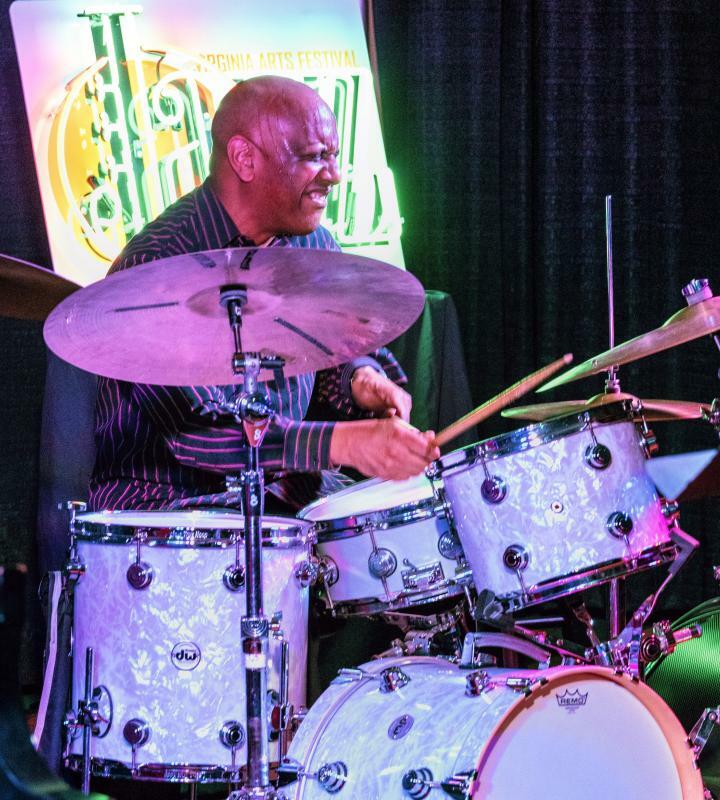 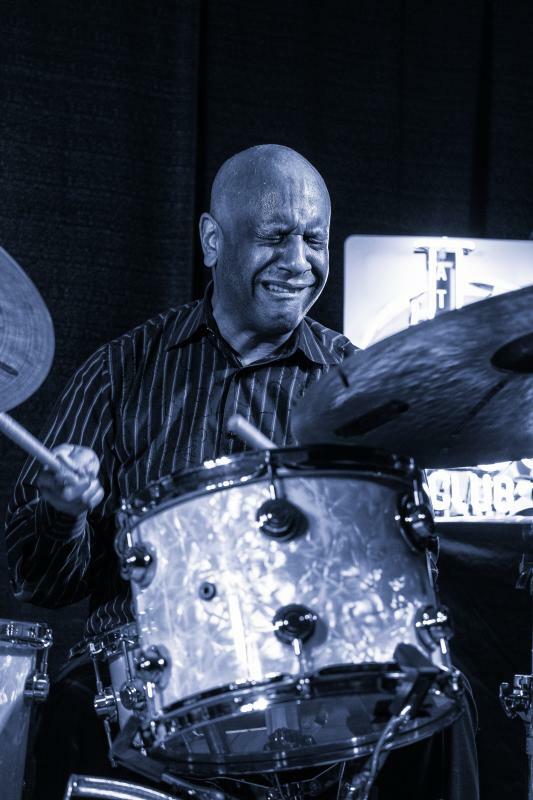 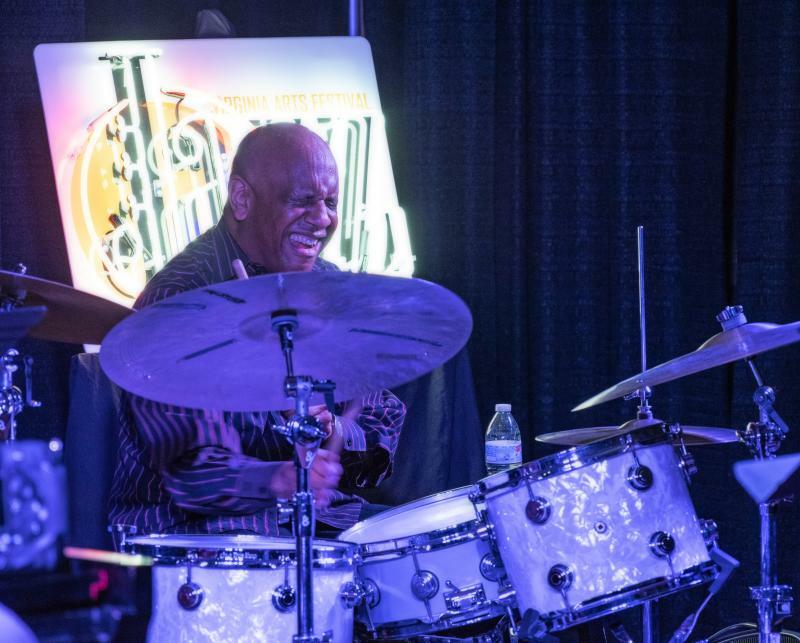 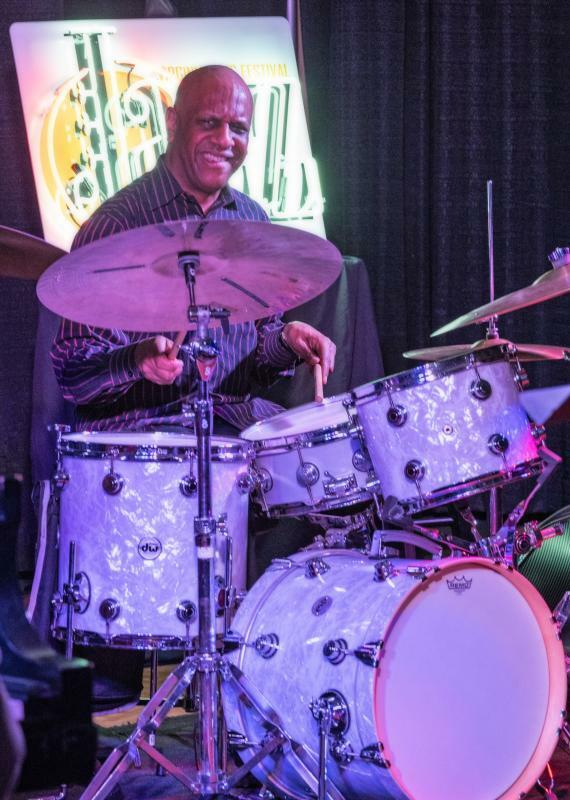 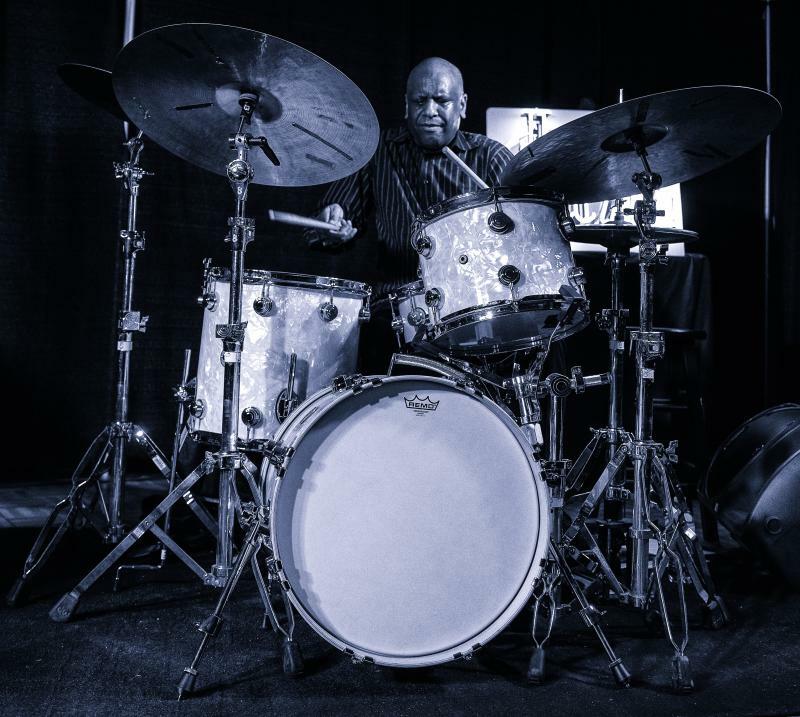 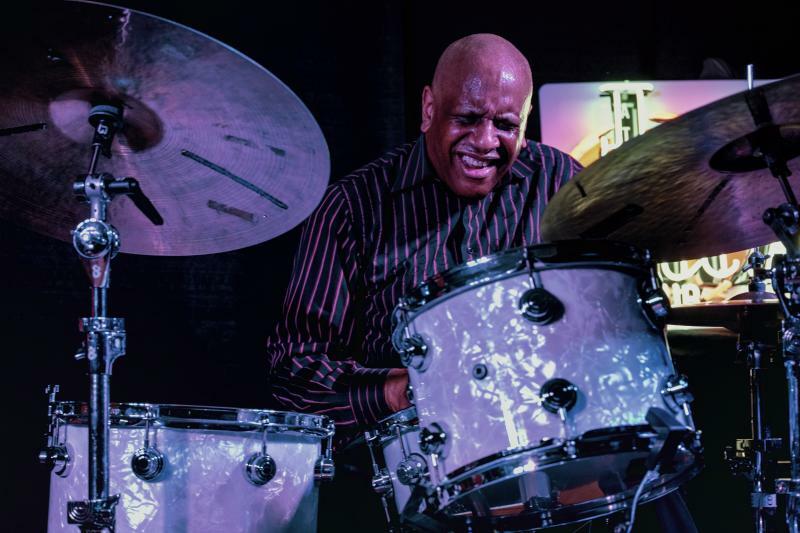 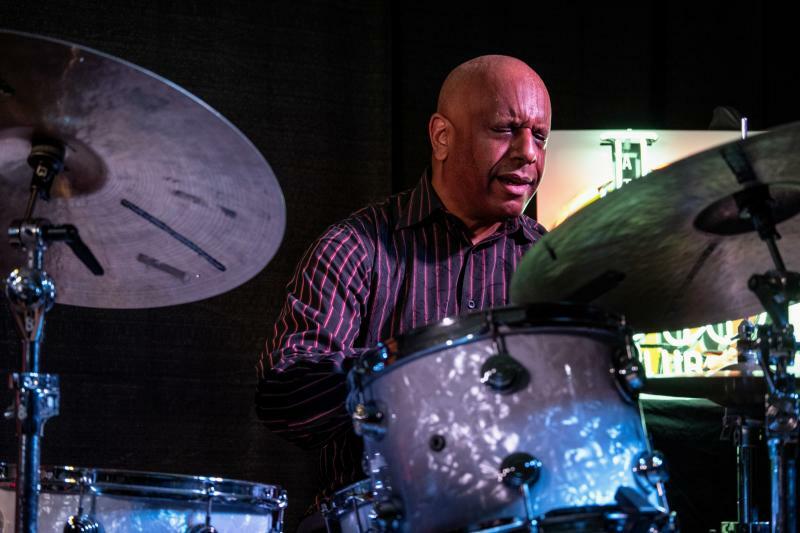 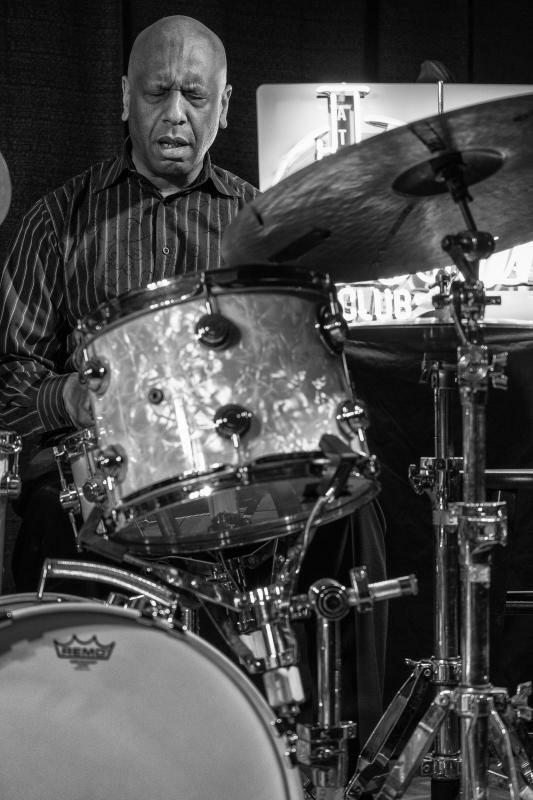 Billy Drummond grew up in Newport News, VA listening to his father's jazz record collection and eventually playing drums in his own and other's bands across the water in Norfolk. 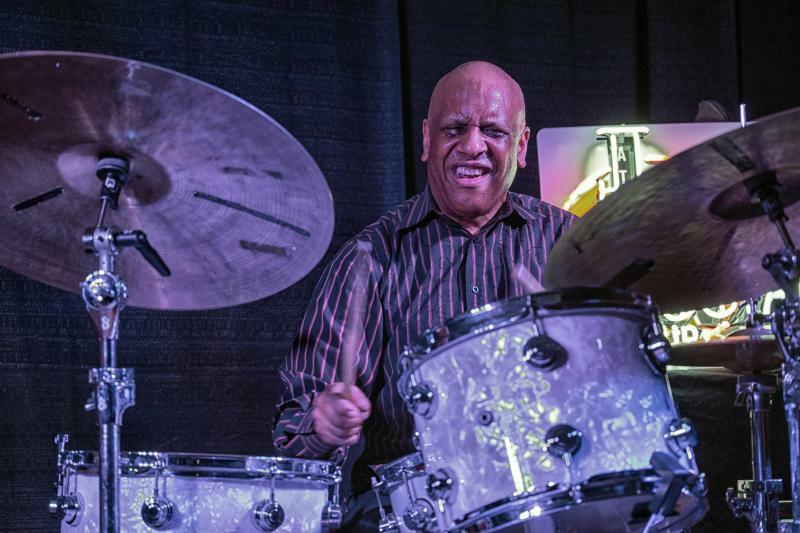 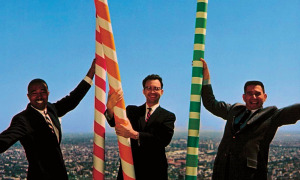 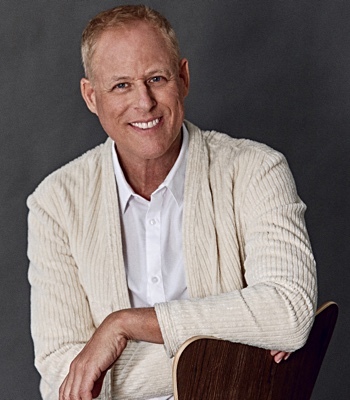 In the late '80s Drummond knew if he wanted to make it as a jazz drummer he would have to leave this area and, encouraged by Al Foster (another Virginian), moved to New York. 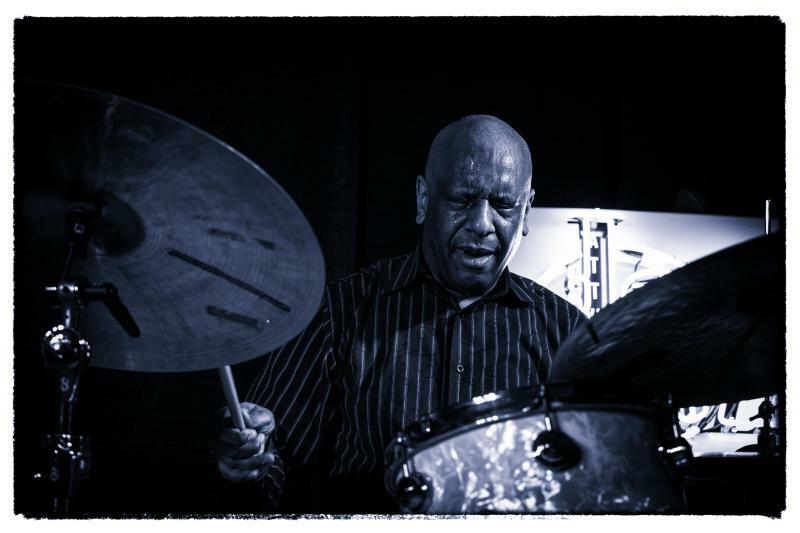 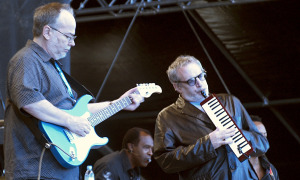 It wasn't long before Drummond was playing with Out of the Blue and then when OTB disbanded joined Horace Silver's sextet, then J.J. Johnson's band followed by three years with Sonny Rollins. 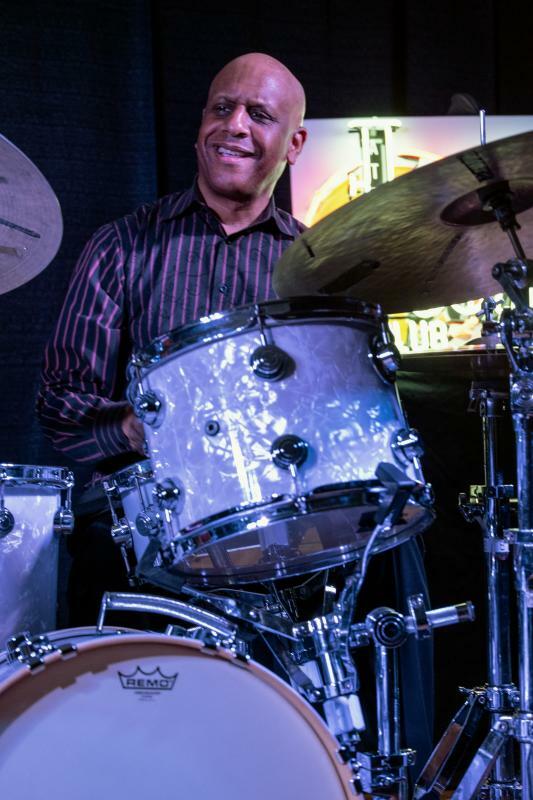 Since then Drummond has become one of the most in demand drummer's and educators in the jazz world. 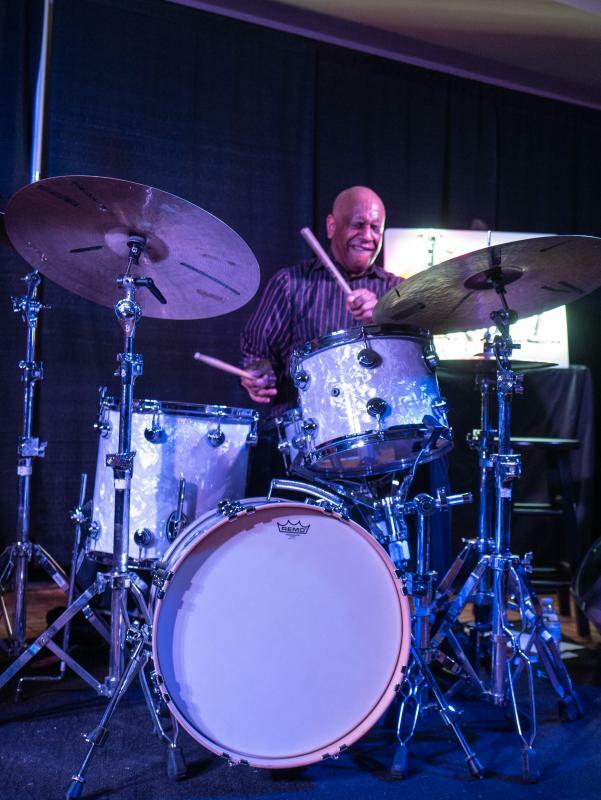 The sold out Attucks Theater was filled with many of Drummond's childhood friends and family as well as fans taking the opportunity to hear one of the greats. 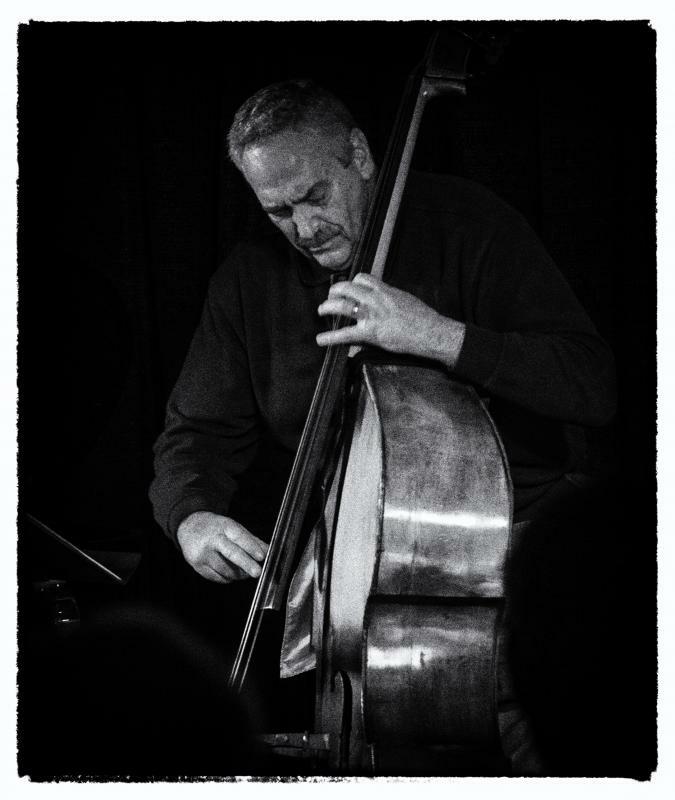 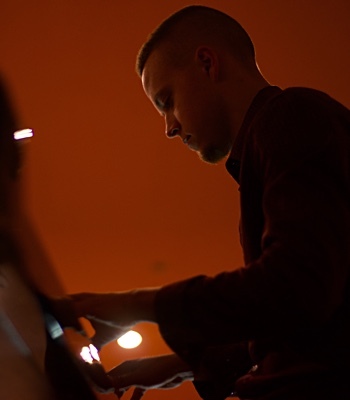 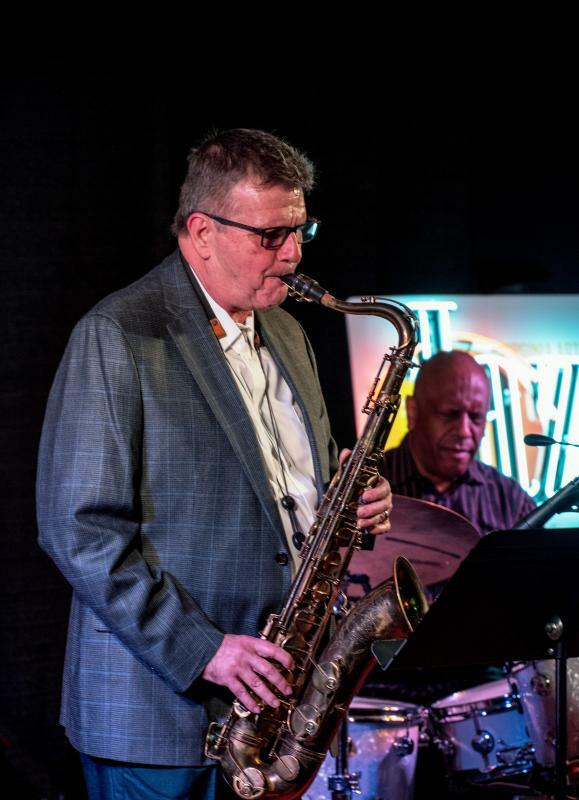 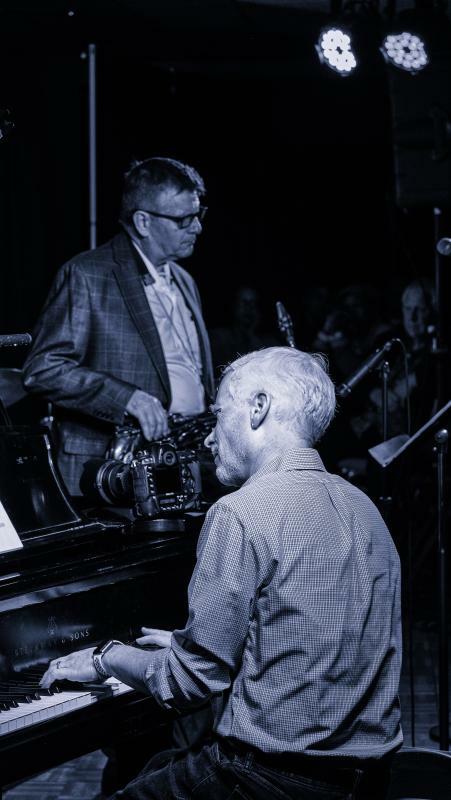 Joined by John Toomey on piano, Jimmy Masters on bass and Eddie Williams on saxophone the quartet played two sixty minute sets of jazz standards composed by many of the musicians Drummond has played with and many of his own compositions. 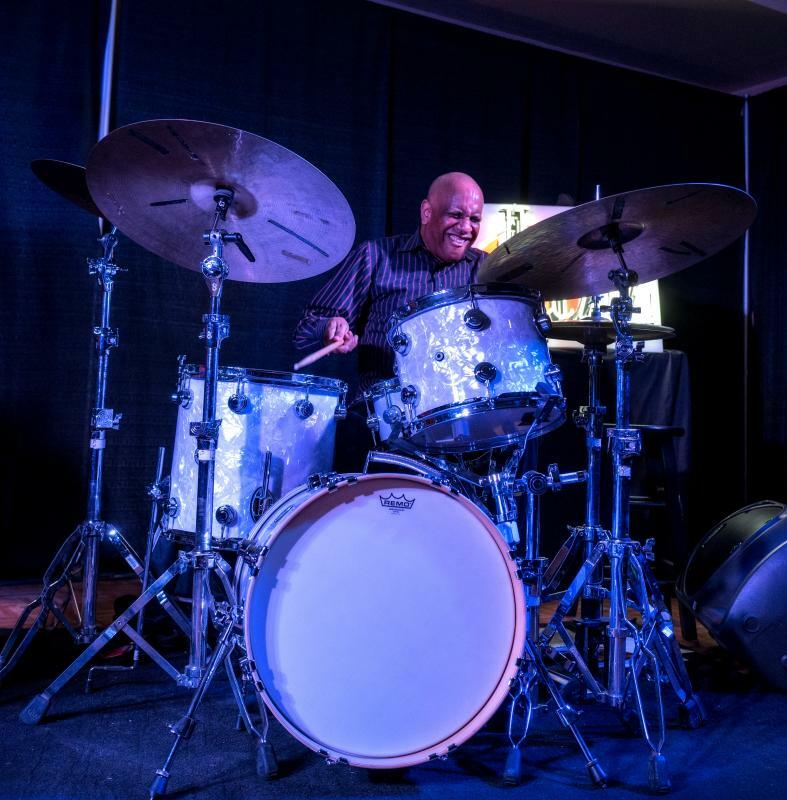 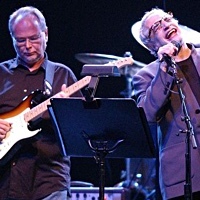 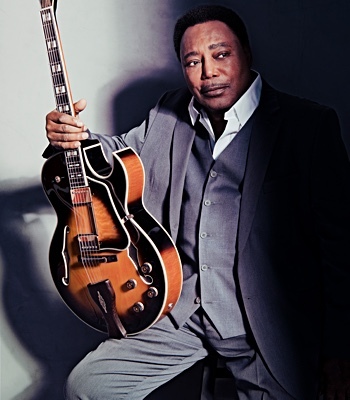 Drummond graciously shared the spotlight with his band mates, letting each show his chops and none of them ever getting in the way of the other. 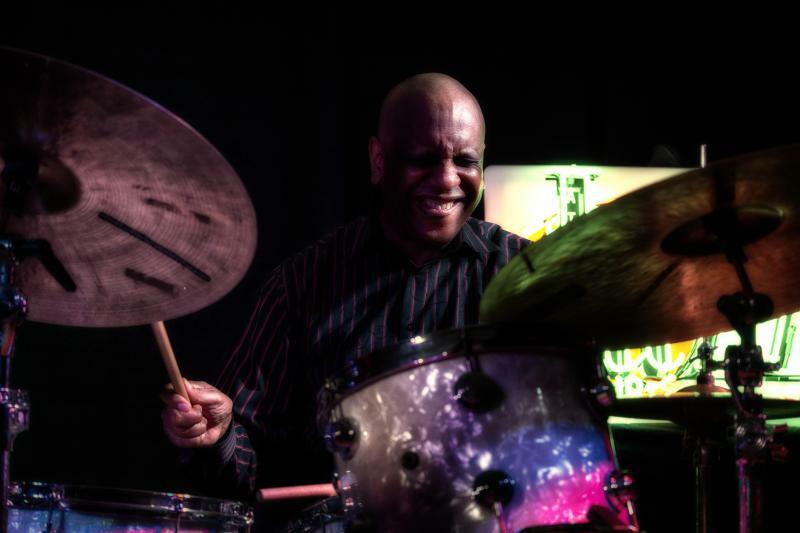 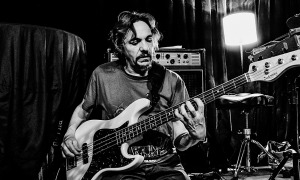 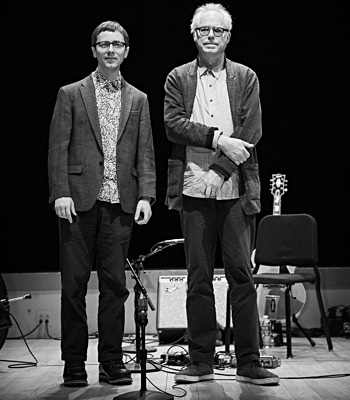 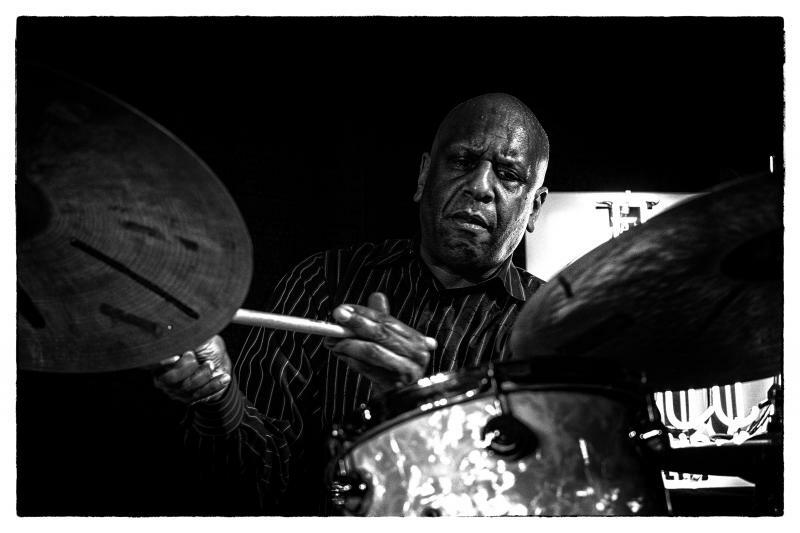 But it was Drummond's night and his crisp, hard, straight ahead drumming brought thunderous applause from an eager audience and big smiles to the faces of Toomey, Masters and Williams. 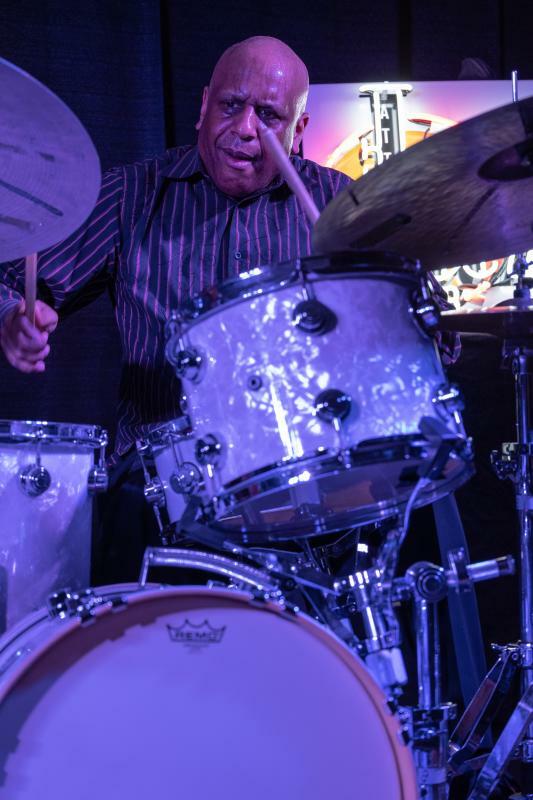 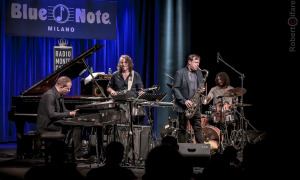 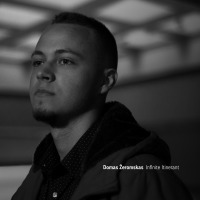 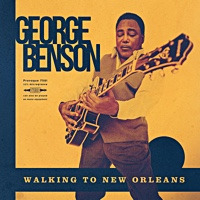 It is no wonder that his album Dubai was chosen by the New York Times as the #1 Jazz Album of the year (1996) and named one of the "50 Crucial Jazz Drumming Recordings of the Past 100 Years" by Modern Drummer magazine.